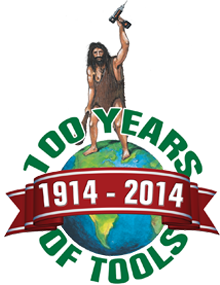 2014 was the anniversary of our 100th year in the tool business! 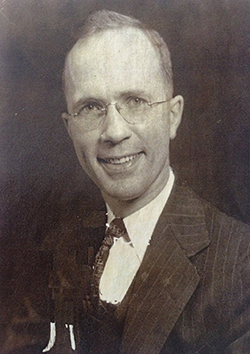 The Sherman family, owners of Berland's, got their start in the tool business in 1914 when Mason Sherman left the presidency of Birmingham Steel and teamed up with Roger Klove to create the S-K Wrench company. S-K was one of a handful of wrench manufacturers to survive the great depression. Mason’s son, William, and grandson, Dave, continued in the family’s wrench business. Dave joined S-K in 1949 as a shipping clerk but soon convinced his bosses that he should be a salesman for S-K. By the late 1950s, Dave had also begun a side company with his uncle, selling tools out of the trunk of his car. This became a wholesale too company they named Clark-Hall, using each of their middle names. In 1960, Dave left S-K and moved Clark-Hall to Forest Park, a western suburb of Chicago. Dave began to see opportunity in retail and In 1969 bought a store on Chicago’s northwest side from Mae Berland, one of Clark-Hall's clients, . At the time, Berland’s specialized in tools for the plaster, masonry, cement and trowel trades. Dave’s son, Dwight, upon graduating college, joined the company in 1974. Two years later, both Clark-Hall and Berland's moved to Downers Grove. Dwight saw the retail potential in Berland’s and greatly expanded the lines in order to cover more trades. Eventually Dave sold Clark-Hall and Dwight, with guidance and support from dad, turned Berland’s into the three location tool superstore it is now: a tool nut’s paradise, a carpenter’s candy store, a man’s best friend. Today, Dwight’s son Spencer and wife Janet are also key members of the company, ensuring that the family tradition continues. S-K wrenches are still sold at Berland's.